Mahindra and Mahindra will soon launch a rather comprehensively updated version of the XUV500 SUV. While there’s no official word on the specs, speculations are rife that the updated XUV500 would offer more power. We already know about the styling changes that the car carries, which is due to the multiple spy images that have surfaced online. 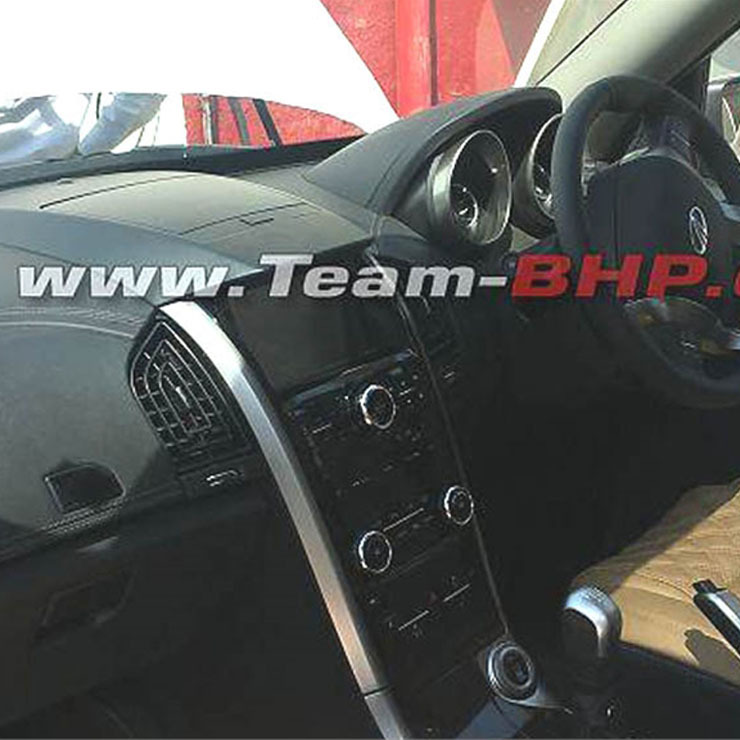 Recently, a spy pic of the interior emerged, thereby giving us complete details on the changes that the car’s dashboard incorporates. The new 2018 Mahindra XUV500 launch could take place later this month. The upcoming 2018 Mahindra XUV500 facelift gets tan-colored leather upholstery with quilted cross-stitching. The dashboard gets an all-black theme and is made out of a faux-leather-like soft-touch material. There’s also some faux-aluminum and piano-black trim on the center console. The higher variants of the XUV500 will continue to offer sporty aluminum pedals. 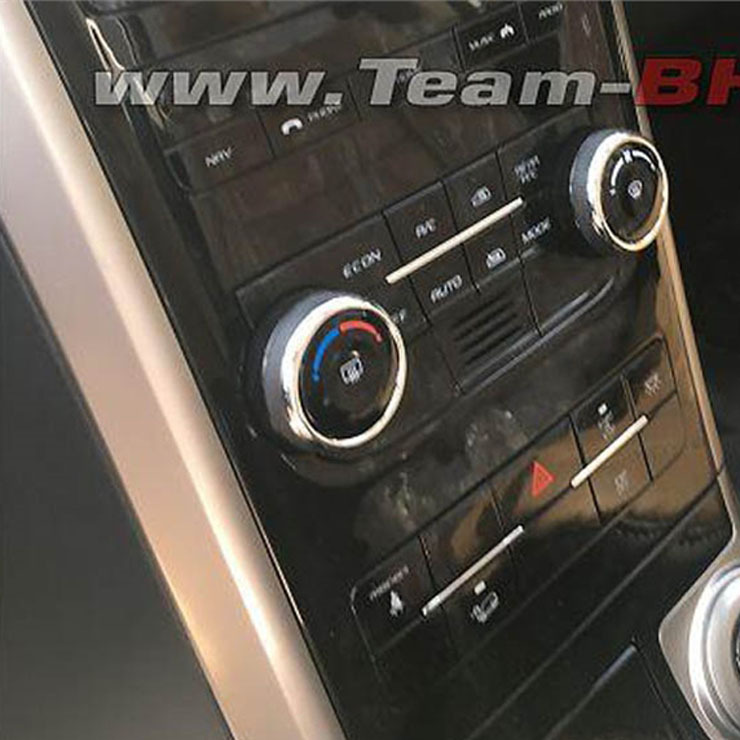 Mahindra & Mahindra will likely update the infotainment unit. On the outside, the car carries an updated front- and rear-end. The front-end is characterized by a set of updated headlamps that carry projector units and LED Daytime Running Lamps, a new grille with a thick chrome surround and some chrome inserts, and an updated front bumper. The only change in the side profile is the new dual-tone diamond-cut alloy wheels for the top-trim. The rear-end is where maximum changes have taken place. The XUV500 will come with completely redesigned tail lamps that have a much more angular look. These taillamps will help the updated SUV have a unique identity. The bumper and the tailgate are also new. The new tail lamps give the rear-end of the Mahindra flagship an almost new look. Powering the XUV500 facelift will be an upgraded version of the current 2.2-litre turbo-diesel motor. The updated engine will likely offer slightly higher power and torque figures. The XUV500 facelift will go on to rival the likes of Renault Captur, top-end models of the Hyundai Creta, and Jeep Compass.